"Football is working class ballet." 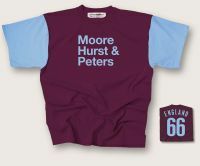 On a classic claret and blue shirt exclusively tailored and manufactured for Philosophy Football, this is a strictly limited edition of just 112 garments, one each for the years 1904-2016. The legendary Alf Garnett returns. A Hammer through and through, loyal to Upton Park to the very end, quite what he would have made of the move to the Olympic Stadium only Alf knows. 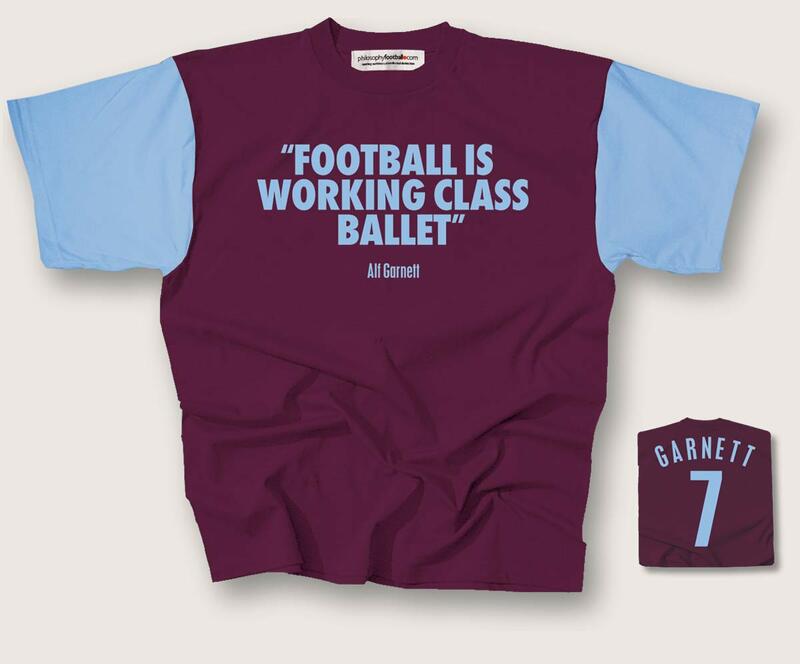 There's only one wing Alf Garnett is ever going to play on, outside Right, but few would fault his description of football as 'working-class ballet'. We'd vote for that! Unisex size small (36inch chest/90cms) Plus!Women's fitted (34-36 inch chest/70-90 cms/ size 12). Available as listed in the drop-down menu below.